5 April 2016, at 6:00a.m. 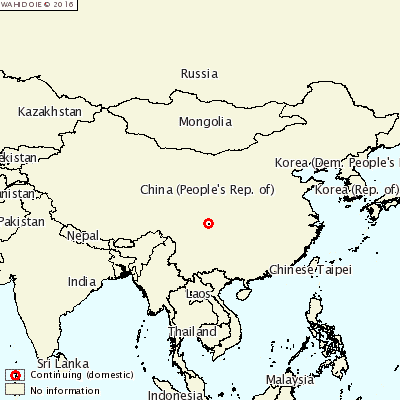 CHINA - A new outbreak of Foot and Mouth Disease (FMD) has been reported in pigs. The outbreak was reported in an abattoir in Guanghan , Deyang, Sichuan. In total, there were eight cases and all 91 pigs susceptible were destroyed.